"Family of Little Wings" features hours of gameplay, challenging reflect speed, and lots of replay value. We’d like to take this opportunity to extend our infinite gratitude to friends of our "Family of Little Wings" everywhere. We thank you sincerely from the bottoms of our fluffy hearts for making "Family of Little Wings" the highest rated and best selling game ever on iTunes! 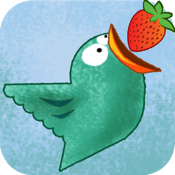 With loads of exciting and devilishly tricky gameplay, "Family of Little Wings" guarantees you many hours of fun. • Remember, positive reviews keep the updates coming!